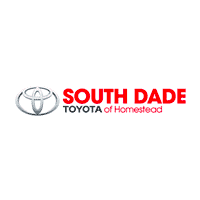 Toyota leasing deals offered through May 31st can get you into a new Prius. Recently named a 2016 Top Safety Pick by the Insurance Institution for Highway Safety (IIHS), this popular hybrid vehicle offers the perfect combination of efficiency and safety. Now through May 31st, you can get into a new Prius for just $259 for 36 months with $2958 due at signing Southeast Toyota Finance with approved credit. Special financing is also available during the month of May. Select Toyota Prius models have 0.0% APR for 60 months. Members of the military get $1000 on select Toyota models, as well. The 2016 Toyota Prius passed every crash test with a score of “good” and a top rating of “superior” in the frontal crash protection tests. Advanced crash-prevention technology is standard on all new Prius models, and the cutting edge advances result in crash prevention between 12 and 25 miles per hour. Improving the safety of the Prius by increasing rigidity result in better braking and improved handling, making this efficient hybrid a joy to drive. Prius’ new design results in less than two inches of cabin intrusion during even the most devastating crash tests conducted by IIHS. The overall risk to feet and legs was low, and the side and front curtain airbags protect the driver and passengers’ heads. Prius’ new design results in less than two inches of cabin intrusion during even the most devastating crash tests conducted by IIHS. The overall risk to feet and legs was low, and the side and front curtain airbags protect the driver and passengers’ heads. To learn more about the safe and efficient Toyota Prius, and to find out which Toyota leasing deals are right for you during the month of May, go ahead and contact our friendly customer service team, now.